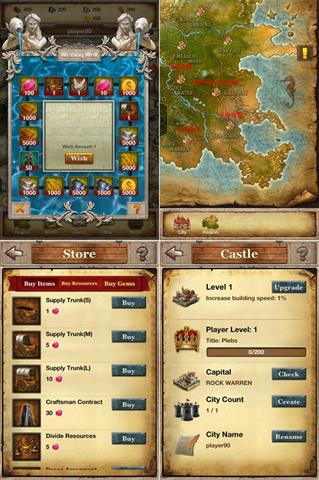 King’s Empire is an online strategy game for iPhone and iPad set in a medieval kingdom setting by Tap4Fun. 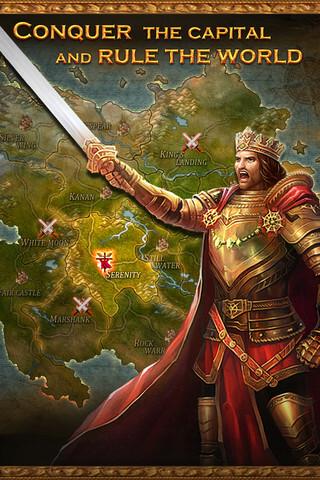 Collaborate with players from around the world to expand your empire! It has been exactly 100 years since our civilization was ravaged by invaders. 100 years of our people dreaming of a leader emerging to lead the kingdom to it’s former glory. Now that you’ve assumed the throne, it’s your fate to lead our empire to greatness. Under your leadership, the King’s Empire will strike fear into the hearts of it’s enemies. 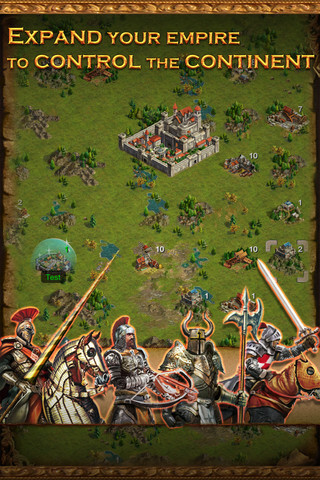 On your quest to restore the glory of the empire you’ll construct buildings and collect resources, research technologies and upgrades, and enlist powerful allies in epic battles against real players from around the world. Available for free download, you can jump straight into gameplay in King’s Empire and then connect with friends to take on the world. 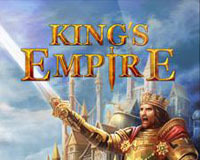 The online world of King’s Empire is ever persistant and continues throughout every minute of every day, continuously. At some point in time you might find yourself getting attacked by someone more powerful than you in King’s Empire. This is the time to either create or join an Alliance to defend yourselves or expand your empire. To join or create an Alliance, you must have the Embassy. Once you have this, you can create or join an Alliance with just a few taps. If you’re the Alliance leader, you can send messages to all members to coordinate attacks and make plans. Another way to stay in touch with your Alliance is to use that Alliance chat. To access this area, just tap on Chat and then navigate to the Alliance chat using the button at the bottom. 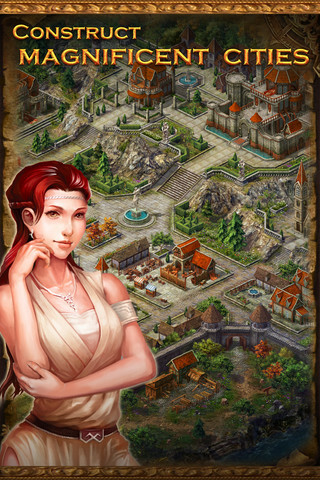 As you begin to reach higher levels in King’s Empire, you’ll notice that upgrading buildings and training many soldiers at once begins to take a long time. Gems can speed up or entirely eliminate this upgrade period and serve this purpose. If you’re under attack and can’t wait hours for soldiers to emerge, use gems to get them immediately. You might occasionally see other players communicate in World Chat with emoticons and wonder how you can use these yourself. It’s quite simple, here’s how it works: you first must download the “emoji” app from the App Store. There are paid and free versions but the free version will work fine and achieve the same effect so we recommend grabbing that. Once it’s installed you’ll have to reboot your device, and then you’ll be able to switch languages whenever you input text on your device (by tapping the globe icon) and switch to emoji. From there, simply tap on the emoji that you want to input and it’ll appear. To switch back to ordinary text input, just press the globe icon and you can quickly jump back and forth between regular text input and emoticons. This doesn’t only work in King’s Empire, but in any iOS application that support emoticons. 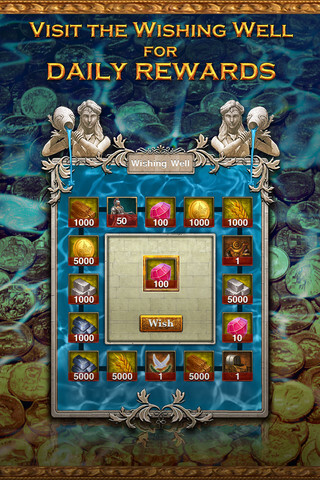 Related Tags: Medieval strategy, Tap4Fun.